This color is stunning! It caught my eye because it looked like a rose-coral duochrome, when I first walked by. 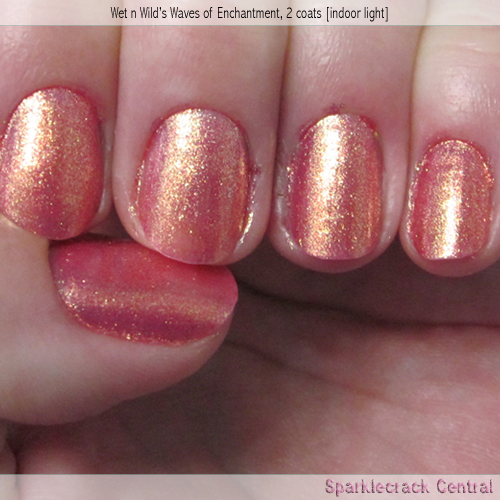 Then in more direct light, and at a different angle, it looked like an orange-gold duochrome with pale rose undertones. This is a rose-coral duochrome microglitter, and it's very very similar to Zoya's Rica; but it's also similar to Zoya's Faye, in that it's extremely hard to pin this down to one color - or even two!! 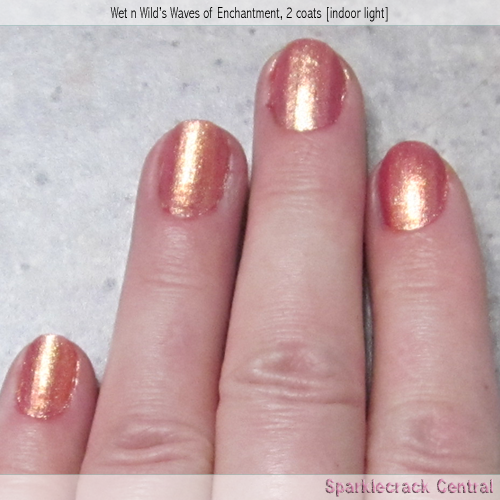 Two coats gave me complete coverage, but there was just the tiniest bit of VNL. (There was less than there was with three coats of Rica, though.) Wear was excellent, and the polish dried very quickly. 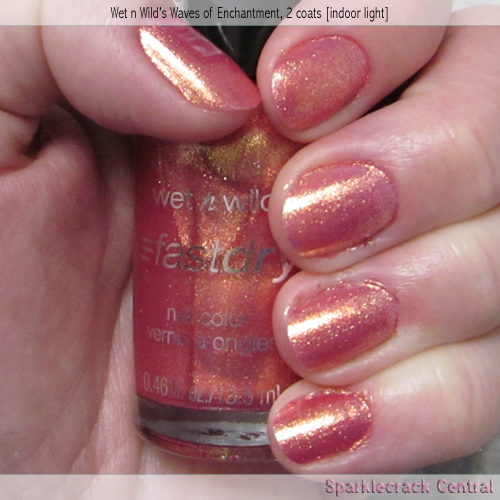 When I finally did remove this one, the orange and gold glitter came away first, leaving the rosy coral color beneath. So I wasn't just hallucinating when I thought I saw a rose-coral shade in this bottle! !